Jeff Glucker September 8, 2017 Comment Now! Bentley has been making some news lately with its redesigned Continental GT. The British marque should, too, because it's one gorgeous ultra-luxury sporting coupe. For those who need more space, more luxury, and more presence, though, there's always the Bentley Mulsanne. A fresh twist on the car is heading to Frankfurt, so if you're in the market for such a machine, you'd better put your accounting team on notice. 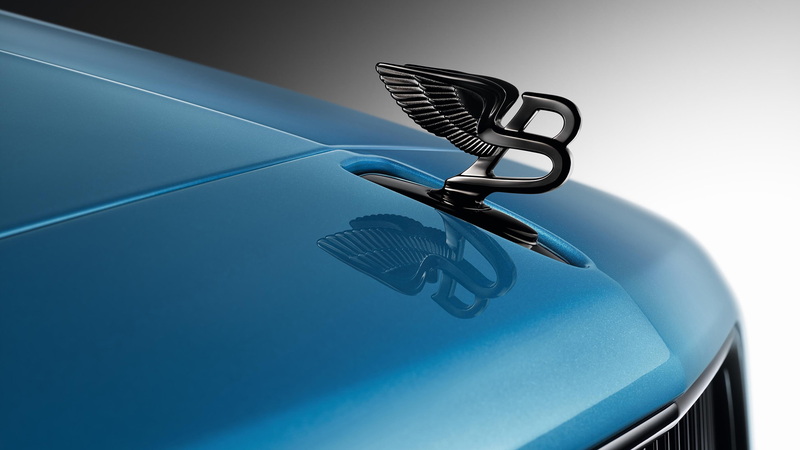 It's called the Bentley Mulsanne Design Series by Mulliner, and it's presented here in all of its King Fisher Blue glory. That paintwork is meant to show off what's possible with carbon fiber right now. 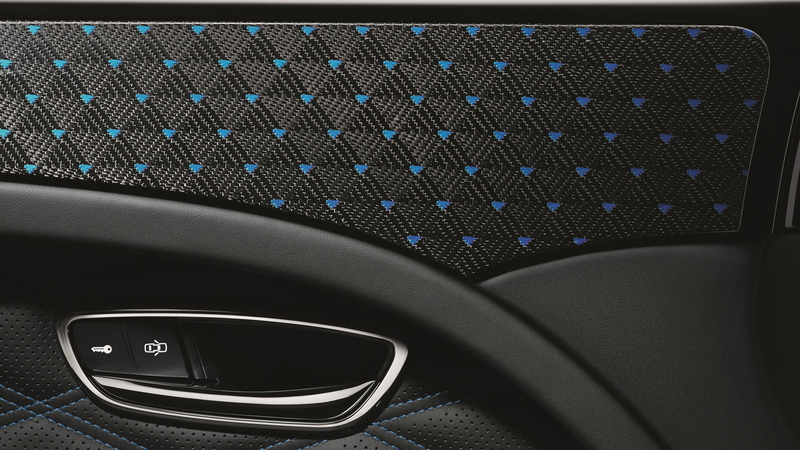 Tessellated colored carbon fiber, inspired by high-tech sportswear, is offered in the aforementioned blue hue, or in a choice of Metallic Silver and Metallic Bronze. That bronze is probably unreal in person, but it might be a bit odd against the equally striking satin-black Flying B on the hood. The vertical vane grille, side vents, and window surrounds are finished in gloss black, while the 21-inch Speed wheels get a bespoke finish. 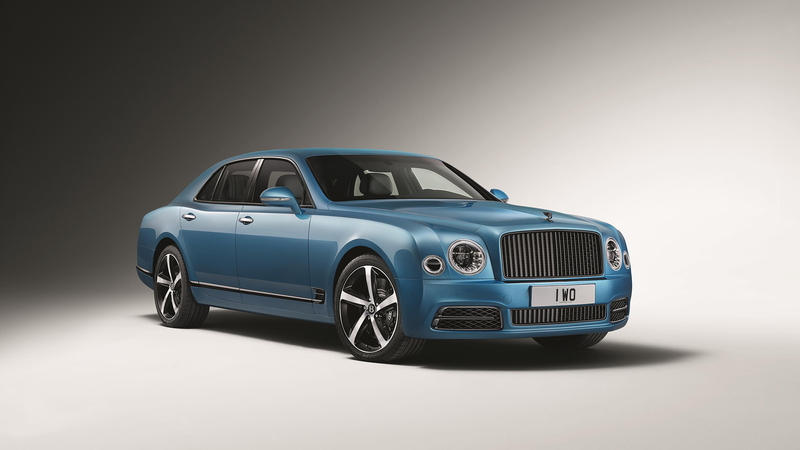 The Mulliner team has created a matching color pattern on the inside of the Mulsanne as well. There's a three-tone color pattern found in the cabin that runs from the door panels, through the instrument panel, and over the seats. While the design work helps the car stand out aesthetically, the Mulsanne Speed's mighty engine backs it up with incredible power. You'll find the wonderful 6.75-liter twin-turbocharged V-8 engine mounted under the long bonnet. It makes 530 horsepower and delivers a top speed of 190 mph. That means this car can deliver the world's most terrifying cloud ride were you ever to press it into full-throttle service. The car makes its debut at the upcoming Frankfurt auto show, which kicks off on September 12th. For more coverage from Frankfurt, check out our dedicated hub.